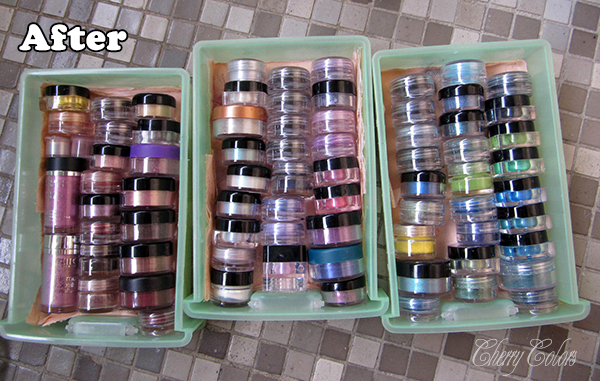 How do I store my mineral eyeshadows? - Cherry Colors - Cosmetics Heaven! How do I store my mineral eyeshadows? I am currently a mess, trying to get back in shape (because I was sick for 2 weeks and it totally f-ed my biorhythm and my cardio levels), and while I do so, excuse the lack of posts. I started working at a new place (we'll see how it goes) and am juggling between keeping a blog, a job, my family and free time. 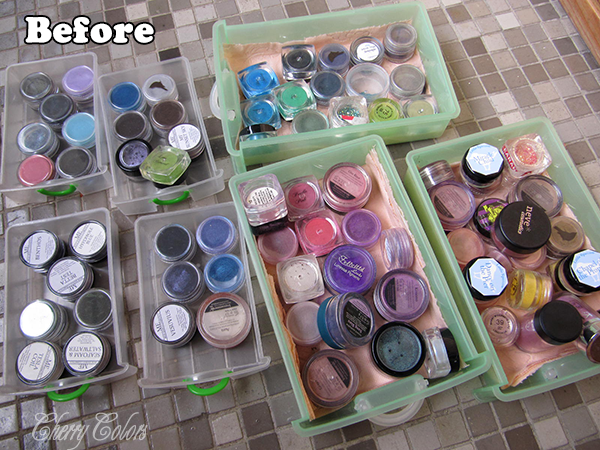 So, I totally want to show you all how what a mess was my Mineral eyeshadows storage before and after some brainstorming on how to store them. The trick was a small one, but a very effective one. And after some brainstorming... (I know, it seems stupid easy now, lol). Close up of one little drawer. I am happy with how I now store things, but since I got a bunch of other shadows in the meantime, I had to use the smaller drawers too. If anyone is curious - I have 78 mineral eyeshadows. 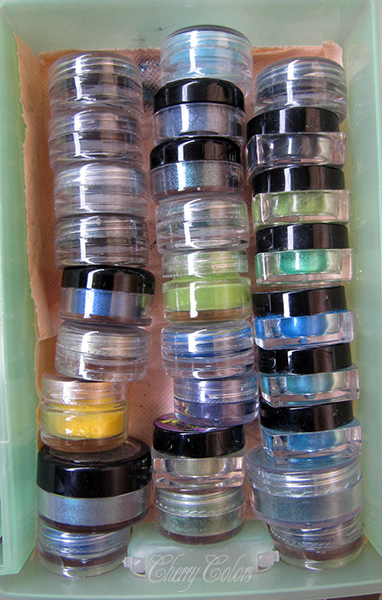 And most of them are Fyrinnae :D. I totally counted them, because I am on a makeup rehab - I have way too much make up and I need to use it all up, before I buy something new. Also because of finances. Okay, off I go, find some pictures for another post ;). Please let me know, how you store your makeup?